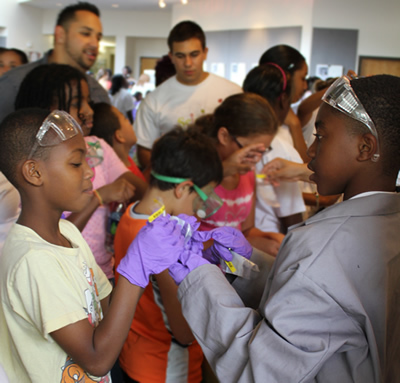 K-12 science students from all over the Rochester Area participate in Get Real! Science Activities. We use MANY different routes to connect with them, and continue to find new ways to engage with students in the community. Get Real! Science is committed to issues of equity and inclusion. Many of our efforts are focused in under-resourced schools, with students who are typically under-represented in science. GRS aims to give students from all backgrounds a chance to use real scientific tools in authentic problems with committed adult attention and support.